Just 5 minutes’ walk from the seafront and Penzance town centre, Ashton Guest House is a granite Victorian property which was built around 1900. Unr.. 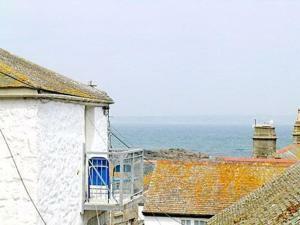 Situated in Mousehole in the Cornwall Region, this holiday home is 15 km from St Ives. The unit is 49 km from Newquay. The kitchen features an oven. .. Situated in Mousehole in the Cornwall Region, this holiday home is 15 km from St Ives. The unit is 49 km from Newquay. The unit equipped with a kitch.. Situated in Penzance, this holiday home is set 12 km from St Ives. The unit is 47 km from Newquay. Free WiFi is featured throughout the property. The..
3 Chapel Street is located in Mousehole. The accommodation will provide you with a TV. There is a full kitchen with oven and a refrigerator. Featurin..
Garswood Guest House offers accommodation in Penzance. All rooms are equipped with a flat-screen TV. Certain rooms feature a seating area for your co.. Situated in Mousehole, this holiday home is set 15 km from St Ives. 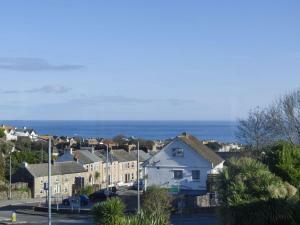 The property boasts views of the city and is 49 km from Newquay. Free private park.. Featuring free WiFi throughout the property, Chapel Place is a holiday home, situated in Penzance. The property is 15 km from St Ives and free private.. The Little Blue House offers accommodation in Penzance. The unit is 11 km from St Ives. There is a dining area and a kitchen complete with a dishwash.. In the Cornish seaside town of St Ives, the family-friendly LordRyans is just 2 minutes’ walk from Porthmeor Beach and the Tate St Ives gallery. Thi.. 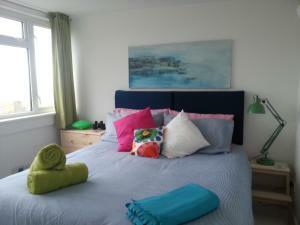 Located in St Ives, 2.4 km from Carbis Bay, Ten Ocean View features free WiFi access. Certain rooms include a private bathroom with a spa bath, while.. Featuring a garden with a barbecue, Spindrift is a holiday home situated in Marazion. Offering free private parking, the cottage is 1.7 km from St Mic.. 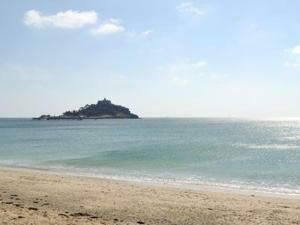 Located in Marazion in the Cornwall Region, this holiday home is 1.7 km from St Michael's Mount. It provides free private parking. A dishwasher and a.. 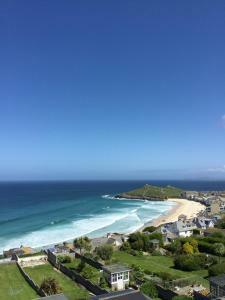 Featuring free WiFi throughout the property, Guest House An Porth offers accommodation in St Ives. Free private parking is available on site. Each ro.. Featuring free WiFi and a hot tub, The Dry B&B offers pet-friendly accommodation in Nancledra. Free private parking is available on site. Certain roo..
Yaffar offers pet-friendly accommodation in Ludgvan. The property features views of the city and is 8 km from St Ives. An oven, a toaster and a refri.. 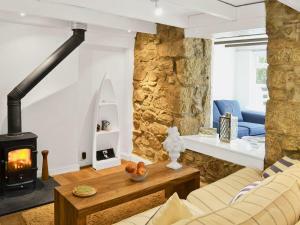 The Hayloft IV is a holiday home situated in Nancledra, 4 km from St Ives. The property is 40 km from Newquay and boasts views of the city. 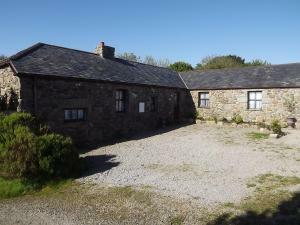 Free priva..
Just over 4 miles from both St Ives and Penzance, Borea Barn Vegetarian B&B occupies a converted barn in the Cornish village of Nancledra. 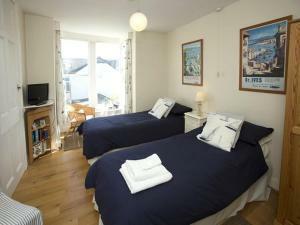 A full rang..
Heather Brae Lodge is a holiday home situated in Penzance in the Cornwall Region and is 6 km from St Ives. The unit is 41 km from Newquay. There is a..